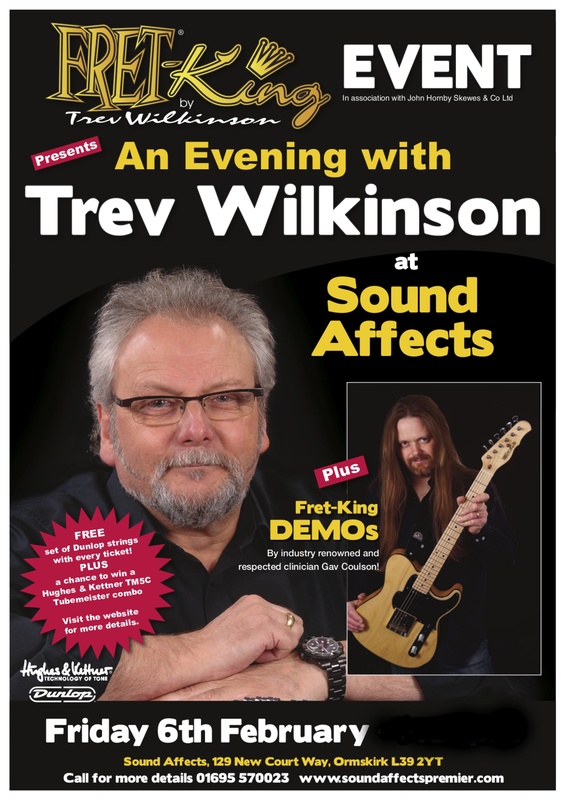 Guitar guru Trev Wilkinson of ‘Fret-King Guitars’ & ‘Wilkinson Parts’ will be visiting our store on the evening of February 6th. 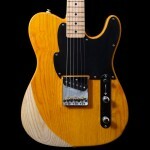 Trev Wilkinson is world renowned for top specification and building high quality guitars and hardware. He will be sharing his expertise and engineering knowledge in a clinic covering the past, present and future of his innovative approach to guitar building. Grab yourself a ticket for just £3 and receive entry to the event, a pack of Dunlop Strings, a chance to win a Hughes & Kettner TubeMeister 5 Combo, 25% off all Fret-King guitars and 10% off all Hughes & Kettner stock! The event will be held in our store with only 35 tickets available. 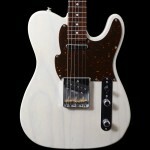 The intimate setting will host a wide variety of Fret-King guitars alongside our usual awesome stock. 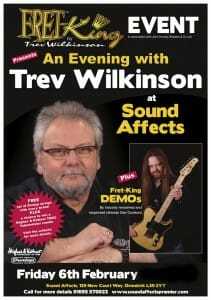 Trev Wilkinson will be bringing along guitar virtuoso Gav Coulson who will be demoing some of Trev’s awesome builds alongside Hughes & Kettner amplification. 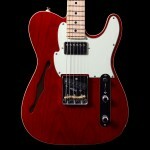 Want to play a Fret-King? No problem, we will have demo rooms available to use.